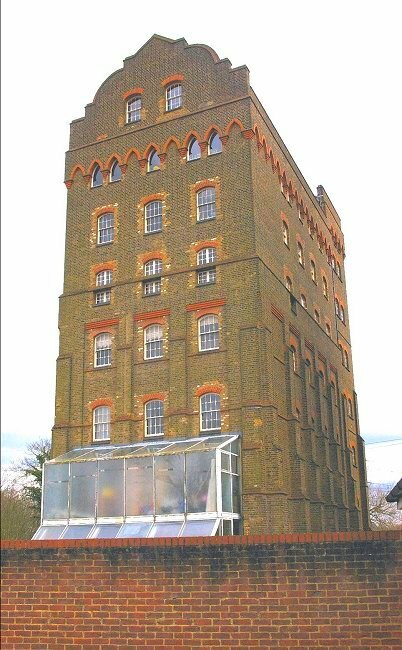 Located at map reference TQ 061 641, the present Coxes Mill building was constructed between 1901 and 1906. 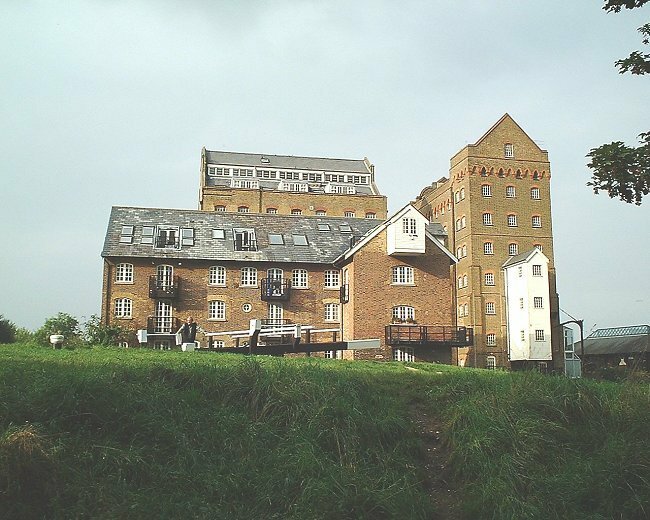 The east face of Coxes Mill, seen from the adjacent railway footbridge 11th May 2008. 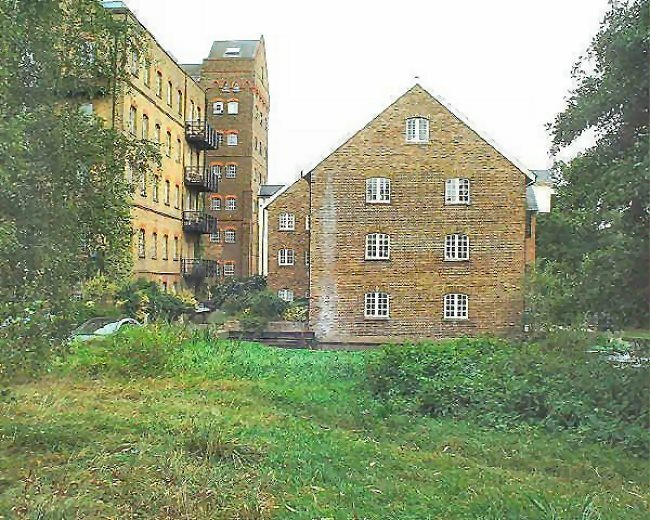 Coxes Mill from the north-west on 5th July 2010. 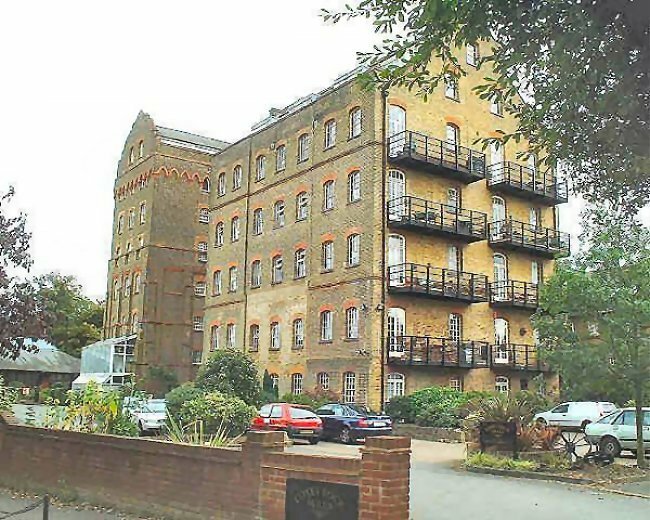 The building is now an interesting apartment block. 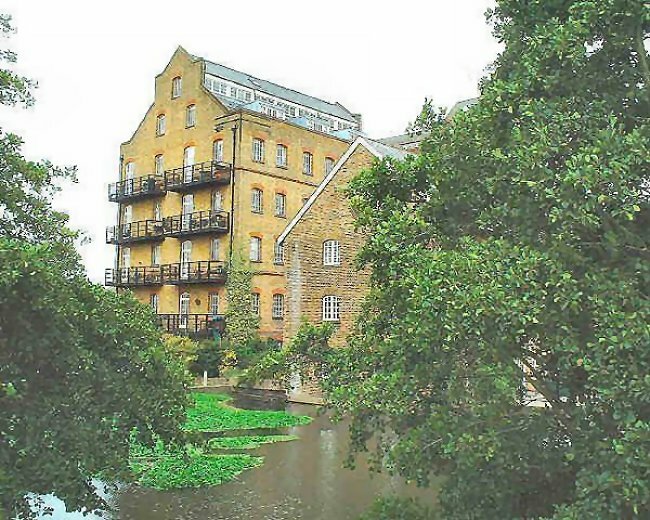 Coxes Mill is thought to date from around 1770. It certainly existed by 1776 as an iron mill, taking in scrap iron and making it into hoops for wooden barrels. Viewed from the west, the size of the Coxes Flour Mill complex becomes apparent. Photograph 2007. 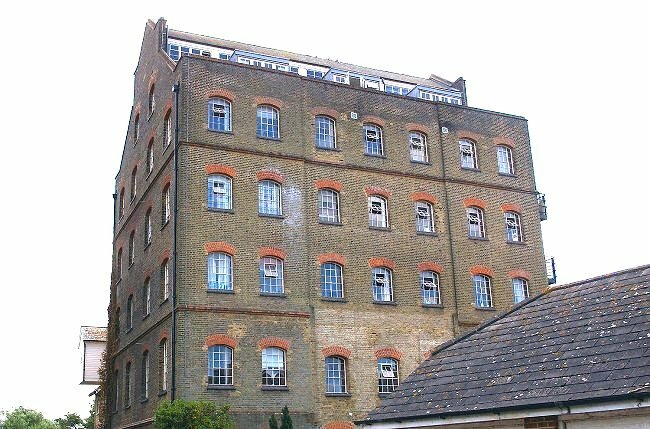 The north face of one of the buildings. 19th March 2008. When in use as an iron mill a hammer powered by water wheel was used. This delivered up to 45 blows a minute and could be heard a significant distance away, much to the annoyance of certain gentry. 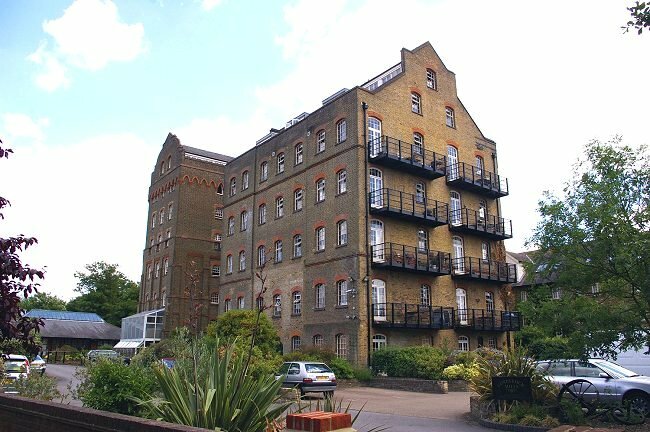 The north face of another of the buildings. 5th July 2010. 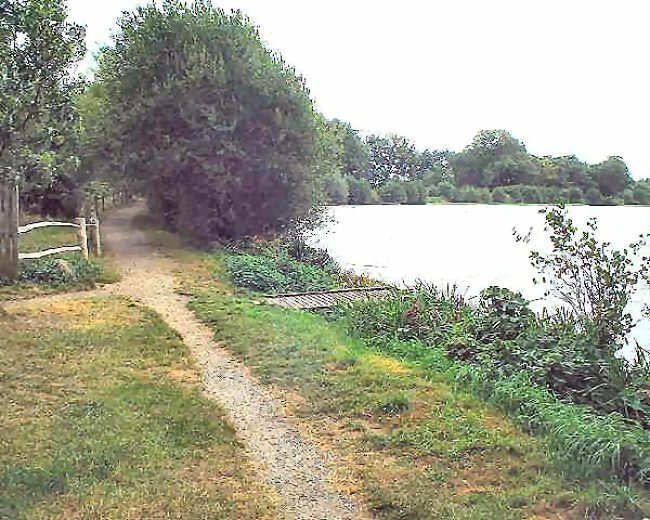 The mill is immediately out of shot to the left in this view of the corner of the extensive mill pond in 2007. The mill pond is located on the site of natural springs and covers between ten and twelve acres. 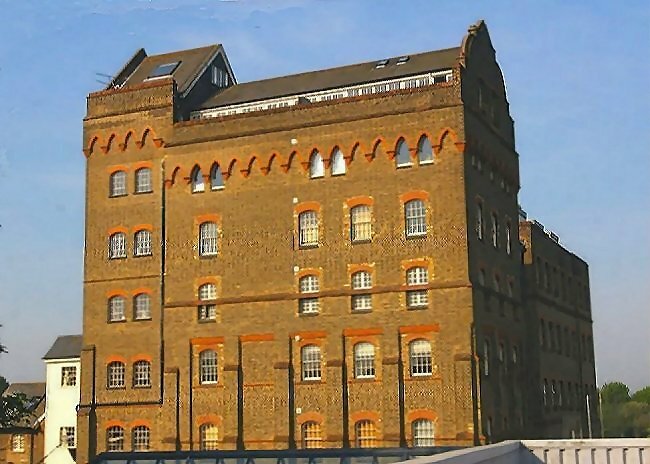 There are a number of buildings on the Coxes Flour Mill site. This view was taken from the mill pond looking north-eastwards in 2007. View from the south-west in 2007. This tranquil view shows the lead from the mill pond in 2007. 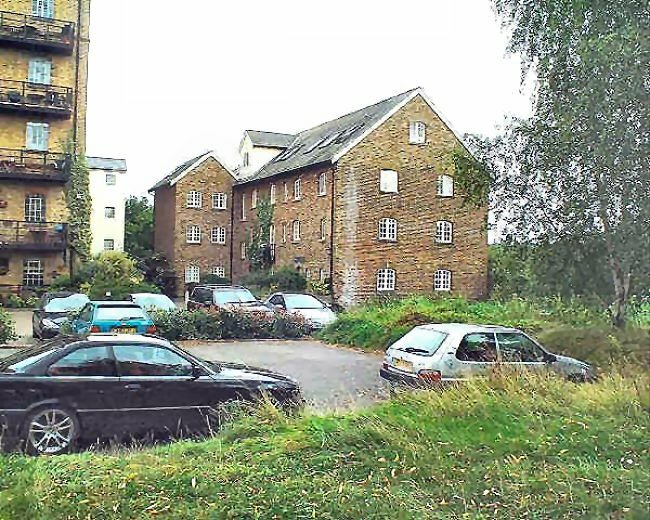 The south face of the buildings, seen from the far side of Coxes Lock. 10th October 2007.